The price of Assassin’s Creed Syndicate seems to keep dropping on Amazon. I can’t see it going too much lower than this in the near future however. It may be the time to bite if you were thinking of buying it. For those without Amazon Prime, there’s free delivery on orders over £20. 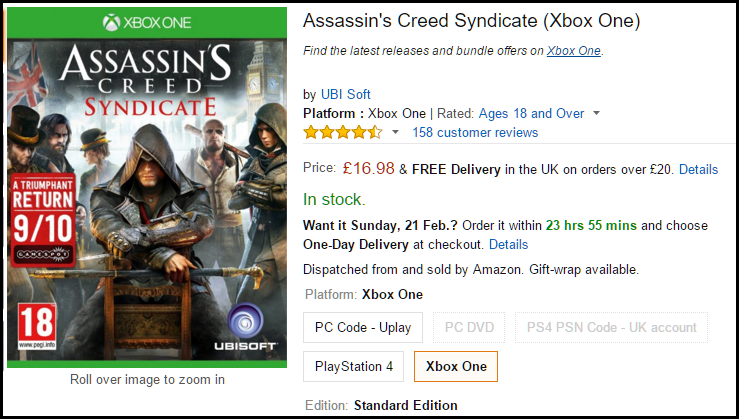 View prices at other retailers on the Assassin’s Creed Syndicate price comparison page.